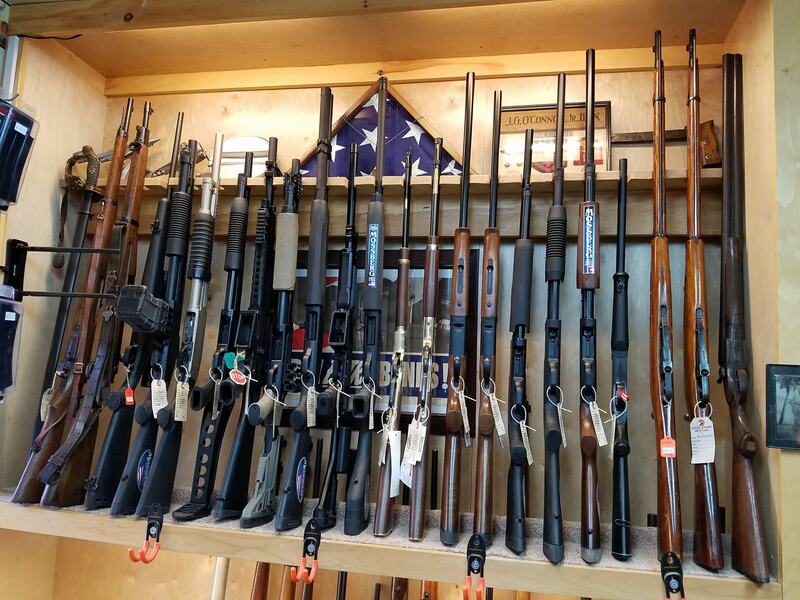 Welcome to the best gun shop in Maine with 400+ new and used guns in stock. We have the lowest prices in the state and give fair prices for your trade. 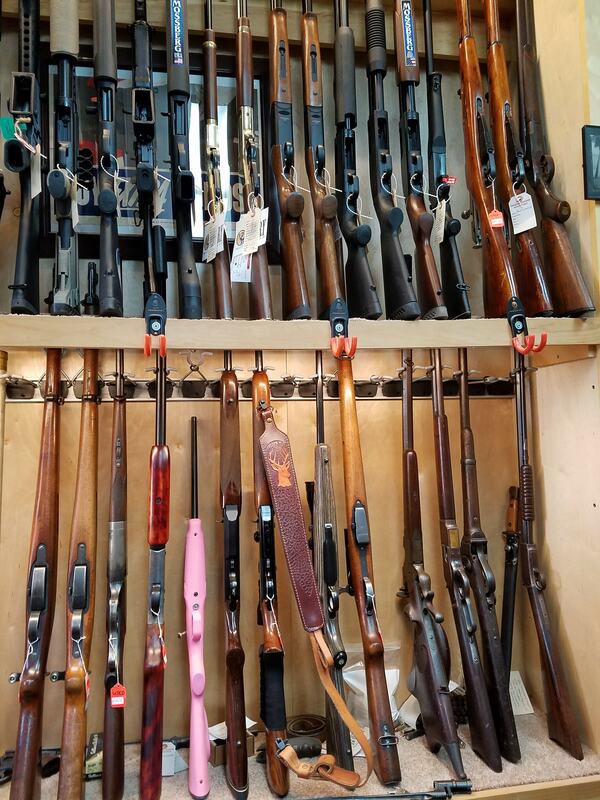 We buy firearms as well including estate collections. See our full inventory and pricing on our inventory page updated every morning before we open and throughout the day. 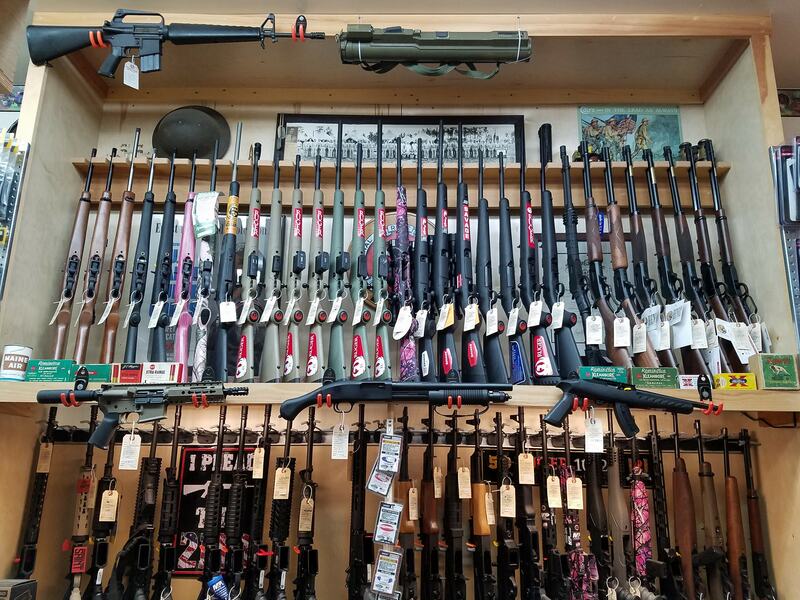 No other gun shop in Maine has a more updated website and no other dealer lists their pricing because most of them are overpriced. Since 1997 you still only deal with the owner and no one else. If we don't have what you need we can order it. We don't charge a premium for ordered guns. We don't mark up our guns just to mark them down if someone asks for better pricing. Don't go to Brewer, Holden, Old Town, Newport, Ellsworth, or any other high priced shops that sell at full retail and have poor customer service. 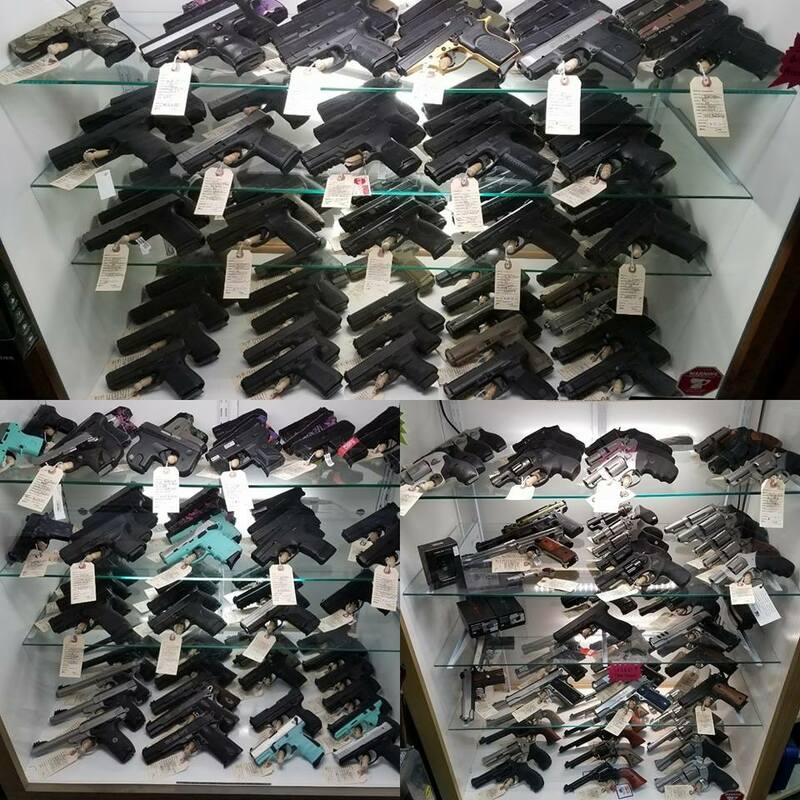 Compare us to ANY local gun dealer or gun shop in Maine and you will be glad you did. 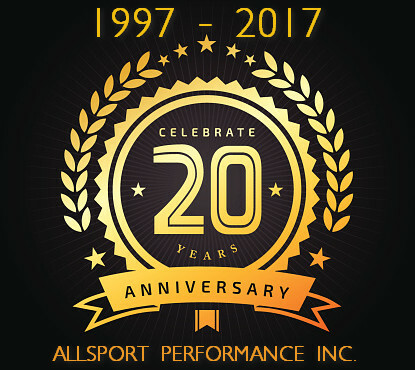 My name is Fred and I am the owner of Allsport Performance Inc. I was born in Bangor, Me in 1970 and grew up in Carmel, Me and now reside in Hermon, Maine. I am the fifth generation of Emerson's to live in the town of Hermon, Maine. I attended Bangor Christian School until 5th grade and finished JR high at Caravel in Carmel. I graduated in 1988 from Hermon High School. Back in the 90's I took some small engine classes which spark my interest in doing small engine repairs as a second job. I started my business back in 1997 in Carmel, Maine when I was still working a full time job. I repaired snowmobiles, ATV's, and some motorcycles as well. We moved to Hermon in 1999 and I built a brand new shop. When my first daughter was born I decided to stop doing repairs and just concentrate on selling parts and accessories. I continued to run my business part time until the economy went sour. The ZF /Lemforder Corporation in which I worked 21 years closed their doors for good in 2010. This left me with just my business. I started operating my business full time in 2010 and I have tried to gain access to more selection of product to sell and give the best prices possible. I then added something that was a hobby (Firearms) and added it to my business. I started selling firearms, ammo and accessories in 2011 as well as the same products I have carried for years. I was a collector for many years and my parents had their FFL back in the 80's and 90's. Low overhead means low prices. My main goal is to have the best customer service and prices. Times are tough and I hate to see anyone pay way more then they should and end up in debt. I am trying to turn this into something that hopefully will become my full time job for years to come. Without my family and customer support I would not have made it this far. My family all enjoys going on ATV rides and I enjoy snowmobiling as well. I have owned several motorcycles in the past and miss riding a lot. I am a gun nut as you can see and enjoy hunting as well. 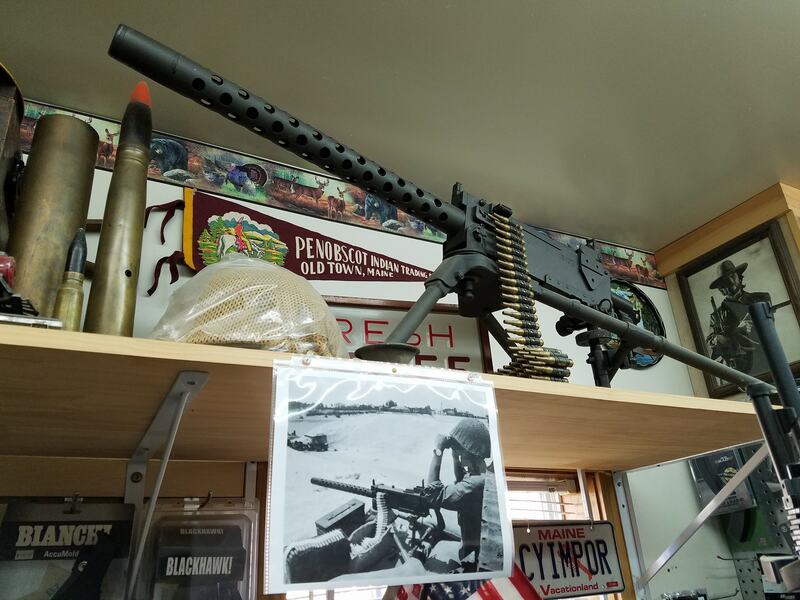 I love history ( History Channel ), collecting militaria ( CIVIL WAR, WW I, WW II, KOREA, VIETNAM ) such as firearms, clothing, helmets, bayonets, gear and most antiques and antique and vintage firearms. I love old Colt firearms, Winchester firearms and, Smith & Wesson revolvers. I buy, sell, and trade. THANK YOU VETS! I am so involved in collecting and being a curator of my families 5 generations of collectables (firearms, militaria, local historical items, gas and oil, antique toys, antique fishing equipment, antique snowmobiles, antique bicycles, and much more) that I would like to be involved with or start a museum so I can share my interests with others. I am also looking to add antiques, collectable, and militaria to my collection. Some customers have brought in items for me to display in my shop or add to my collection. A few items are on display in my shop. I am an NRA member and a member of the Penobscot snowmobile club, Central Maine Trail Blazers ATV club, Hampden Rifle and Pistol club, Gun Owners of Maine, and SAM. Our family attends church at Crosspoint Church in Bangor. Listen for my business to be mentioned on WHCF FM 88.5. I am glad you stopped by and I hope to do business with you soon.